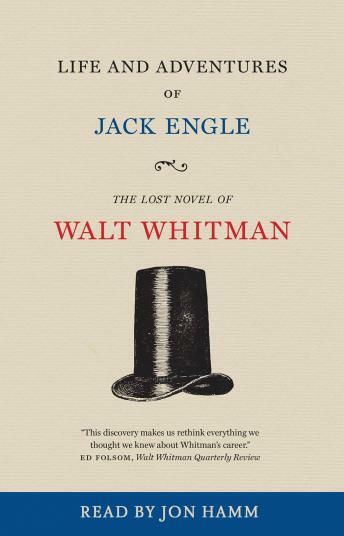 In 1852, young Walt Whitman—a down-on-his-luck housebuilder in Brooklyn—was hard at work writing two books. One would become one of the most famous volumes of poetry in American history, a free-verse revelation beloved the world over, Leaves of Grass. The other, a novel, would be published under a pseudonym and serialized in a newspaper. A short, rollicking story of orphanhood, avarice, and adventure in New York City, Life and Adventures of Jack Engle appeared to little fanfare. No one laid eyes on it until 2016, when literary scholar Zachary Turpin, University of Houston, followed a paper trail deep into the Library of Congress, where the sole surviving copy of Jack Engle has lain waiting for generations. Now, after more than 160 years, the University of Iowa Press is honored to reprint this lost work, restoring a missing piece of American literature by one of the world’s greatest authors, written as he verged on immortality.